There is more detail on the reasons for me making hazelnut (or filbert) jewellery here. A solid half hazelnut mounted on to a brooch pin. 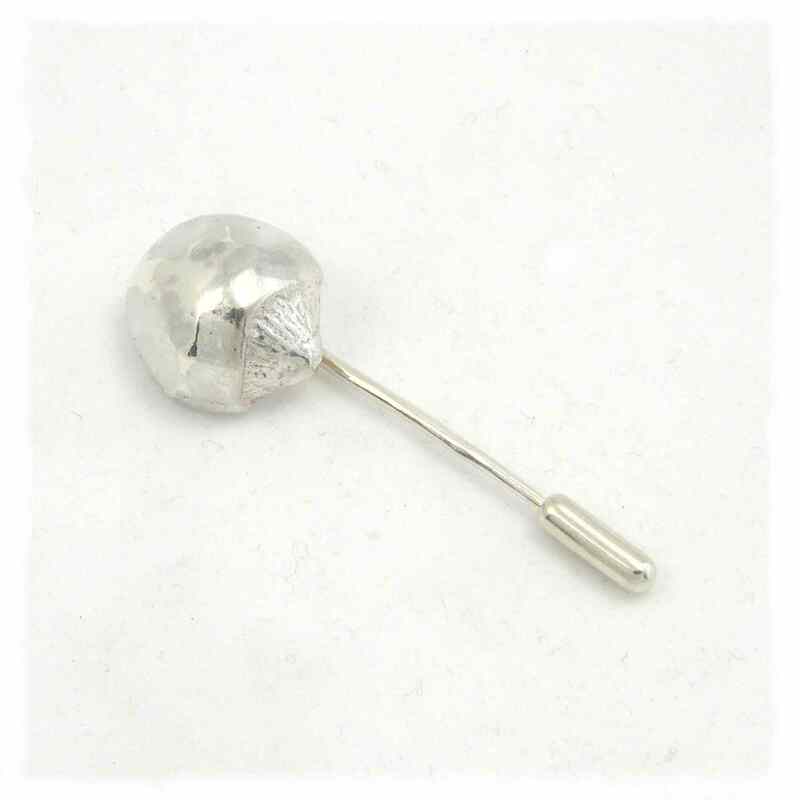 the brooch weighs 12 grams and is life sized. 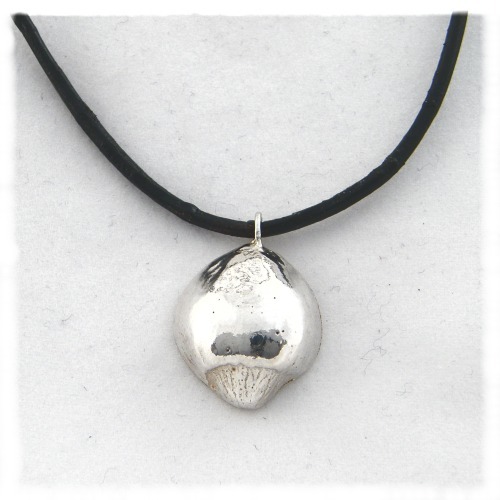 A solid life sized sterling silver hazelnut as a pendant. It weighs around 20g and can be provided on cord or with a chain. 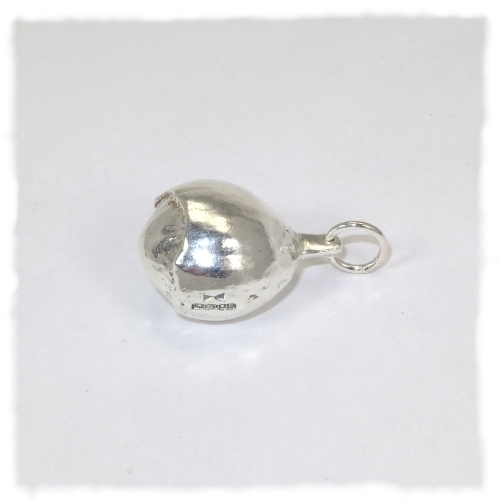 A solid life sized sterling silver half hazelnut as a pendant. They can weigh 8-11g and can be provided on with other chains. Lighter on the neck than a whole nut. 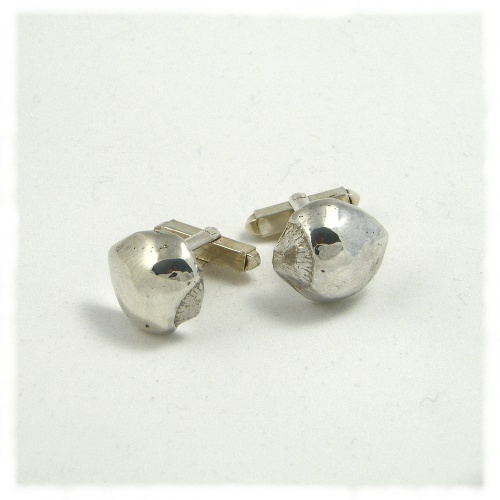 A pair of solid life sized sterling silver half hazelnuts set on sprung cufflink backs. They weighs 16 or so grams for the pair depending on the size of the nut. 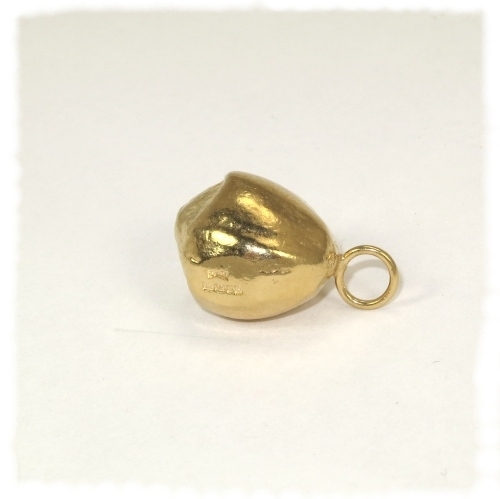 A solid sterling silver life sized hazelnut, that has been gold plated. The price does not include a chain as there are so many options. If you want me to obtain one for you, then we need to discuss what you want. 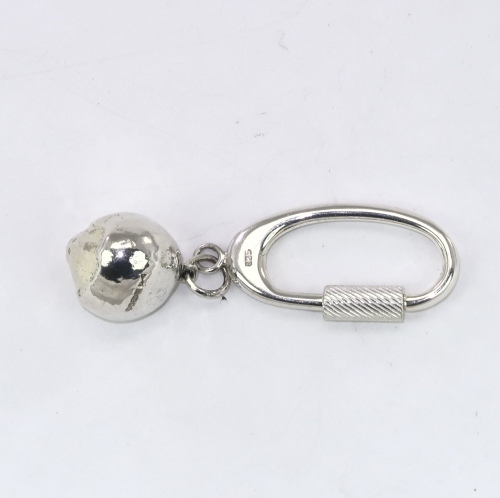 A solid hazelnut attached to a silver keyring. It weighs about 29g.